In Rovinj is there are 6 large and mid sized campsites, offering a great range of facilities, one of the 6 large campsites is a nudist camp. The campsites are situated both north and south of the city, in addition to the large campsites there is a number of smaller campsites in the vicinity of Rovinj as well as in the town Bale which can be found south of Rovinj. 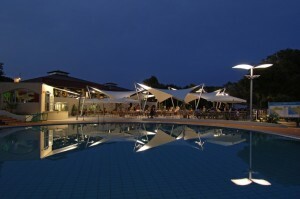 Camping Porton Biondi Rovinj – 1200 campers, situated less then 1 km from city centre in Rovinj. 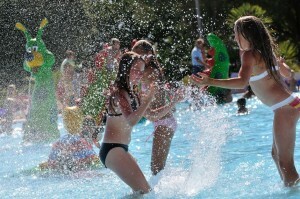 Camping Valalta Rovinj – 1.600 Pitches. Nudist camping. 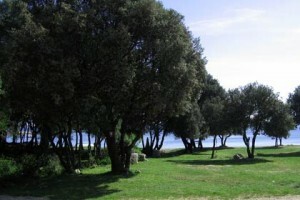 Campsite offer Bungalows, Apartments and Mobile homes for rent. Camping Valdaliso Rovinj – 330 Pitches, capacity of 990 campers, campsite location 4 km north of Rovinj, open from Easter to beginning of October. Camping Vestar Rovinj – 650 Pitches, capacity of 2.100 campers, the camp is located 5 km south of Rovinj, camp open from Easter till end of September.